Today, AJ and I join up for another review of one of Polish clothing company Urkye's newer offerings, the Kot top. 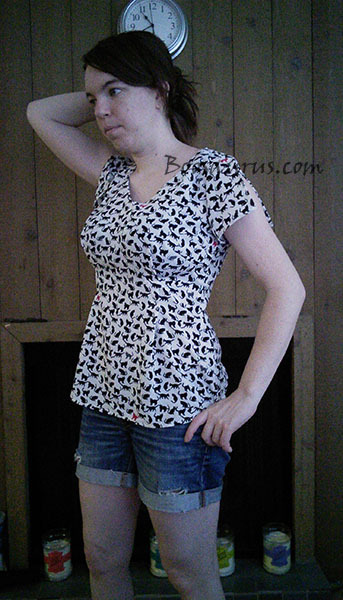 AJ: I’m a cat person, and the idea of having a bust friendly shirt in a cat print is wildly appealing to me. Obviously, I had to try out Urkye’s new Kot (Cat) shirt. I felt a stronger draw to the white version of the shirt than the dark navy (even though I’m terrified of white clothing; I’m a stay at home mom with small kids…enough said), so white it was! From photos of the models, I could tell that the shirt was pretty relaxed with a less revealing v-neckline than many of Urkye’s other offerings. Since Urkye’s charts put me in either a 40o or 38oo for non- stretchy items, the loose fit of the Kot and previous experience with too much shoulder material in a 40o/oo Retro dress led me to order the 38oo. 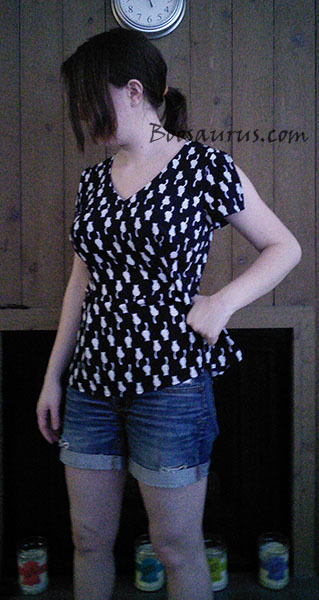 Boosaurus: I absolutely love that Urkye came out with a more quirky print; I've been anticipating trying these tops out ever since I saw the "coming soon" announcement! I grabbed a white colorway in my usual 36ooo. My size was unfortunately sold out in the navy, but I ordered a 38ooo in that color just to see what the shirt was like. AJ: I received the order pretty quickly (ship time was about a week to the US from Poland). 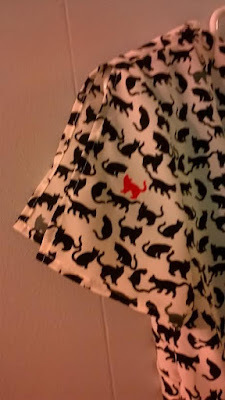 The pattern was, of course, the first thing of interest when I pulled the shirt out of the package. The cats on the white shirt are a more realistic outline than the print on the darker shirt, which I knew from the web pictures, but I didn’t notice that they were 3 different colors: black, red, AND grey. Honestly, the grey cats threw me off a bit at first, but after getting used to them I think they add some welcome extra depth to the pattern. Boosaurus: I'm not normally a big fan of white shirts, but seeing the shirts in person made me more okay with the white option. The navy shirt appealed to me more color and pattern-wise, though - I was sad I wasn't able to order my true size! Apologies for poor quality photos (and derpy faces) - I don't currently have a good camera! I'm pulling the extra side fabric for a better idea of how the shirt would look in the right size here. If there were a consistent looseness in the fit of this shirt, I would recommend a size down, but the shoulder area would make sizing down a bad idea. It is so fitted, in fact, that I wish there was a zipper in the back to help get the shirt off (there is a hidden side zipper, without which getting the shirt on at all would be impossible for me). 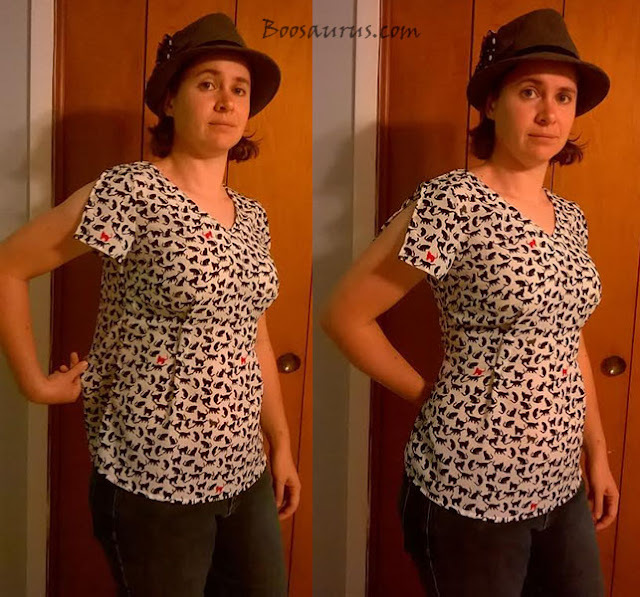 I have small shoulders and don’t normally have trouble getting out of shirts unless they are too small all over, so having to contort myself to get the Koty off was something of a shock and is certainly another factor against my wanting to keep it. 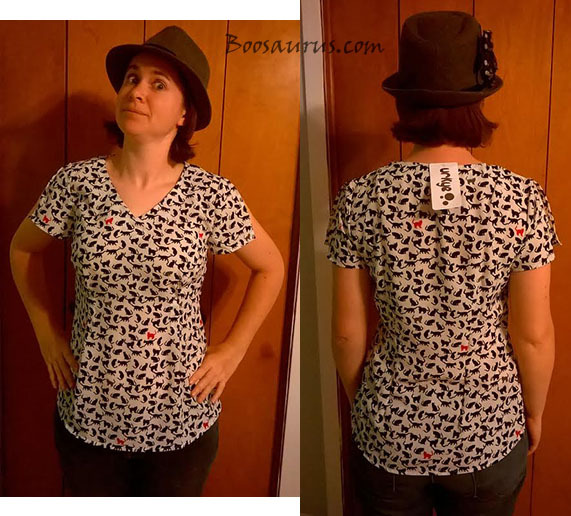 Boosaurus: The fit of this shirt in my usual size is, as expected, loose overall rather than clingy and form-fitting like most of Urkye's other offerings. I honestly don't generally prefer looser fits like this, but I found the style growing on me more as I wore it. I was fairly satisfied with how the bust portion fit, and I didn't mind the more flowing fabric in the torso area. The main thing that bothered me a bit was the seeming extra/loose fabric in the upper back portion of the top (shown below). I have a wider upper back, so I was surprised that this was an issue. I also had a little bit of trouble getting the shirt on and off despite the side zipper (partially due to a shoulder issue of mine). I'm not quite sure how this issue might be fixed. AJ: I’m really not sure what I think about the split sleeves. I messed around with them a bit and almost think sleeveless would be better on this style. I feel, for me, that the sleeves add to the box-like look of the shirt on my upper frame. 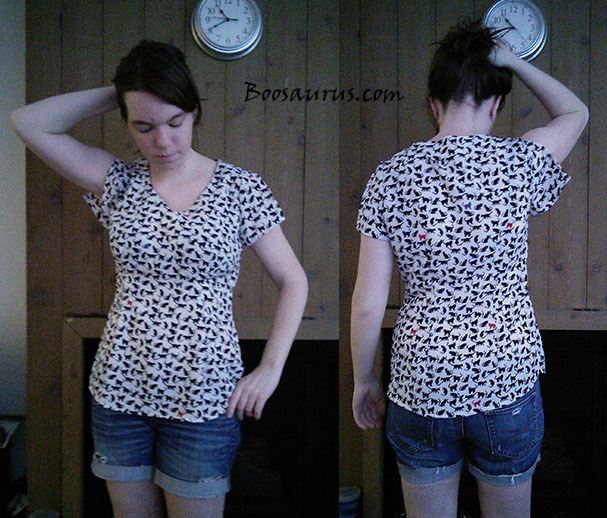 Boosaurus: I actually liked the sleeves; I thought they added interest to the shirts! AJ: The material is very light, and since this is a white shirt, it is somewhat see-through. I can’t imagine wearing anything but beige under this shirt without a cami. 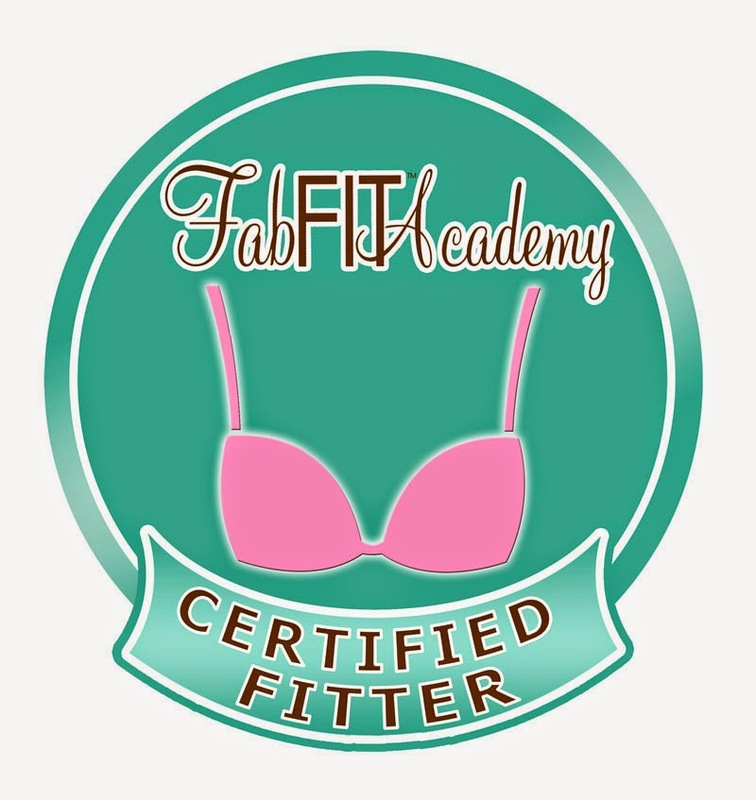 Even with a beige bra, I could see my pale skin through the fabric wherever it happened to sit right against me. I’m paranoid about stuff like that, so it may not be that bad for others, but I couldn’t wear the shirt without a white cami under it. Makes me wish I liked the print on the darker Kot shirt better. 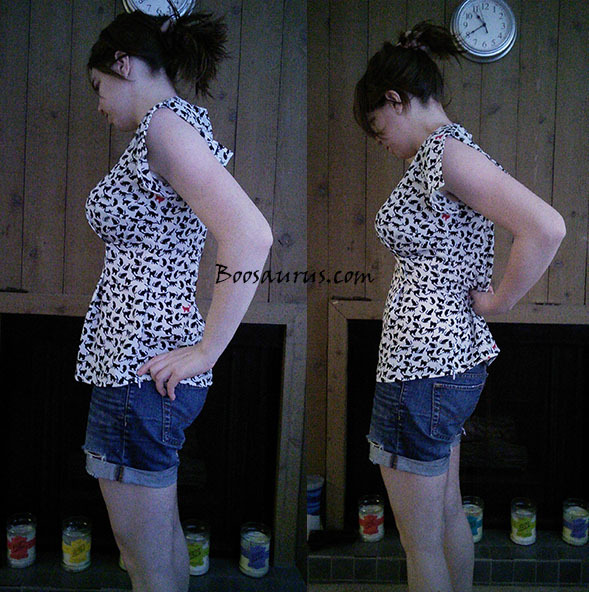 Boosaurus: I found the shirts to seem to be good-quality, and the material (polyester) made the shirt feel light and cool. I did find that the white version of the Kot was somewhat see-through, but I felt like I would be comfortable wearing it with a lighter bra (in the photos I'm wearing a green-and-black Ewa Michalak bra). The navy version of the shirt doesn't pose this problem. 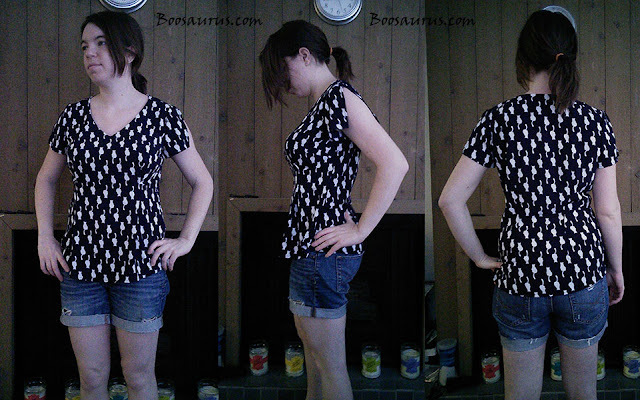 Views of the dark navy top - the fit is looser than it normally would be due to me taking a size up from my usual. 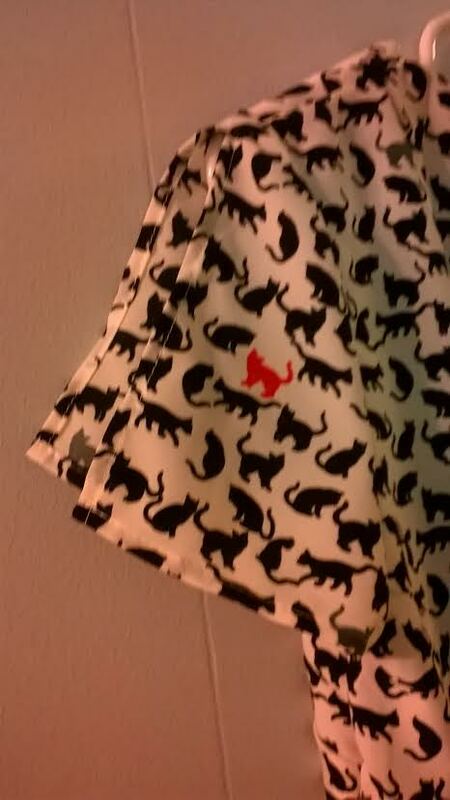 I'm kind of in love with the print, though. Boosaurus: Although the style of the Kot shirts isn't one I normally would go for, I do appreciate the risk Urkye is taking with print variety and a different cut. I like the dark navy version of the top enough that I'm considering getting it altered to fit me better if my true size doesn't come available again on the site. 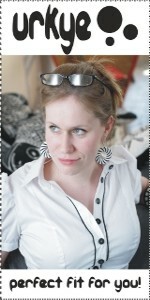 Overall, the Kot top is something I see myself wearing throughout the coming warm Summer and Fall days. More fun prints, please, Polish companies! The Kot Bialy and Kot Czarny can currently be found on Urkye's website for 89zl (about $23.50).